Manitoba Telephone System. Radio Branch. Manitoba calling. Winnipeg: Manitoba Telephone System, 1937-1948. Monthly. Programming guide for Manitoba radio stations C.K.Y. (Winnipeg) and C.K.X. (Brandon). 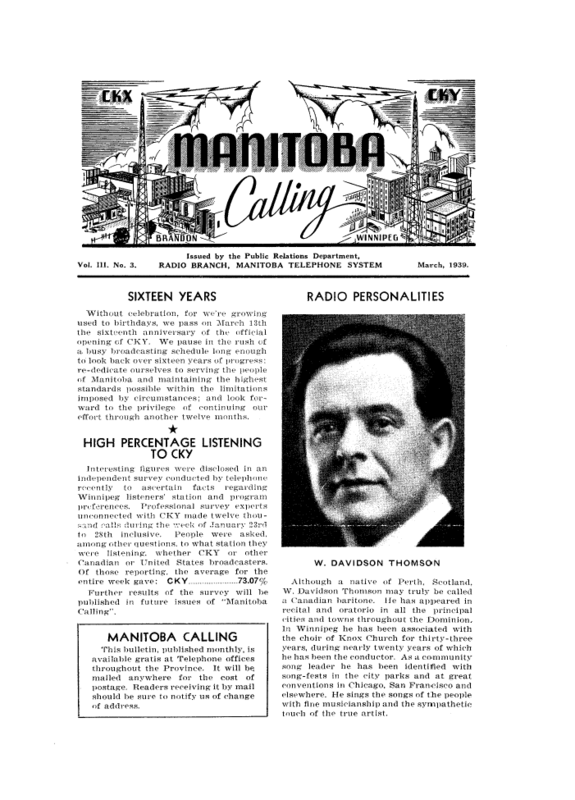 Beyond providing program information, the magazine often contained articles on Manitoba history and culture.